Fluctuating consumer behavior, a dynamic economy, unforeseen events, shortened product lifecycles, and competitive pressures can play havoc on your ability to accurately forecast demand. There is also mounting pressure to cut costs despite rising expenses for raw materials, commodities and fuel. Supply chain organizations must utilize the assets more effectively and ensure inventories are stocked with products that are most likely to sell in a given time period. This begs the question, how do we make the supply chain more effective? If we look at the Gartner Hierarchy of Supply Chain Metrics, a system of metrics designed to assess and help improve a company’s supply chain effectiveness, the Demand Forecast sits at the top because of its ability to drive results through the rest of the pyramid. For example, it sits right above Perfect Order and Supply Chain Management Cost, which offer important performance tradeoffs in supply chain responsiveness and profit margins. In previous articles here, such as Get Your CFO On Board with Inventory Optimization, I discussed how inventory optimization can reduce costs while improving service levels. The foundation starts with a more accurate forecast which then influences all aspects of the supply chain from sourcing to manufacturing to distribution. The impact can be quite astonishing. According to analyst research, a five percent forecast accuracy improvement can lead to a 10 percent gain in perfect orders. With a tangible impact on perfect orders (a proxy for customer service levels), it is easy to see why savvy supply chain professionals strive for a more accurate forecast to reduce uncertainty. For many, there are several barriers to forecast accuracy. Poor historic data, relying on spreadsheets instead of an advanced demand planning solution, or the use of a limited mix of forecast models. In our experience there are seven key forecast models to understand. These are the Modified Holt / Holt-Winters, Moving Average, Inhibited, Modified Parent-Child, Modified Croston, Demand Profile, and Promotions models. For more information on these models, visit www.logility.com. The solution is to use the right model to generate an accurate picture of demand, keeping in mind the appropriate model can change depending on current market conditions, phase of product life cycle or channel of distribution. Those who find the right combination of forecast models offering both predictive power and real-time reflexes are positioned to come out on top and drive a more efficient supply chain. The wrong combination, or not having access to a portfolio of forecasting models, can lead to higher costs, increasing error rates and fluctuating customer service. Forecasts rely on a lot of data and the flexibility to move from one model to the next at any point during the product lifecycle is critical to success. Advanced demand planning systems can lift the burden of generating forecasts and ensure you focus your energy on high impact items or issues. Some of today’s more advanced forecasting systems automatically transition between models, identify opportunities for improvement, and proactively alert you to issues and opportunities for resolution. Advanced forecasting solutions can automate much of the selection and switching of models as a product moves through its life cycle. Herein is the secret sauce to an accurate demand forecast which will ripple throughout the supply chain and impact its overall effectiveness. The realities of increased competition, rapidly changing consumer behavior and a dynamic economy – all of which introduce uncertainty into your plan – have driven the need for more accurate, streamlined forecasts that utilize a strategic and flexible mix of models. Take a look at your current methodology and planning environment. Are you focused on a single view of demand or are you taking that next step and bringing multiple models together? Agree or disagree with with our guest contributor's perspective? What would you add? Let us know your thoughts for publication in the SCDigest newsletter Feedback section, and on the website. Upon request, comments will be posted with the respondent's name or company withheld. 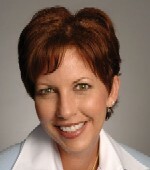 Karin L. Bursa is vice president of marketing at Logility, a provider of collaborative supply chain management solutions. Ms. Bursa has more than 20 years of experience in the development, support and marketing of software solutions to improve and automate enterprise-wide operations. Supply Chain Comment: "Let's Get Ready to Rumble"